Ask any cigar lover, and they’re likely to tell you the first handmade cigar they smoked was a Macanudo. Macanudo is one of the most well-known brands in the handmade cigar category, one that has withstood the test of time. This year, as the brand celebrates its 50th anniversary, we look back on the past and get a glimpse into the future of Macanudo. This icon found its beginning in 1968 when Edgar Cullman, an entrepreneur who had bought General Cigar Company in 1961 for an astronomical $25 million, purchased the Temple Hall factory in Jamaica. This factory owned a small brand called Macanudo. Cullman set out to make Macanudo the finest cigar in the U.S. market, employing some of the most respected blenders in the business. To set his brand apart, Cullman wanted something unheard of in the industry at that time: an aged wrapper. 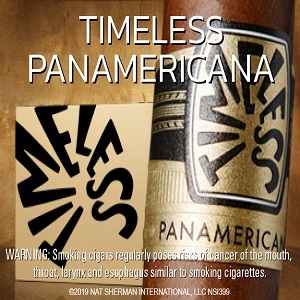 Cullman ensured that the wrappers were aged for three years, along with Dominican, Jamaican, and Mexican tobaccos for the blend. The resulting mellow flavor instantly appealed to American smokers, and Macanudo Café took off, one of the best-selling cigars in the world. But it’s the Macanudo Inspirado line, released in 2014, that has recently exploded onto the market and become a renaissance of sorts for the brand. 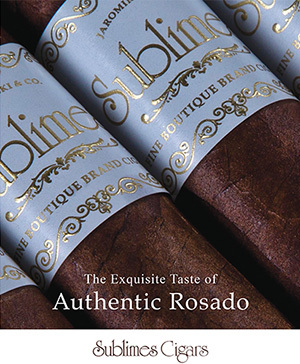 Inspirado White and Inspirado Black debuted to rave reviews at last year’s International Premium Cigar & Pipe Retailers Association trade show, and this year, in conjunction with its 50th anniversary, Macanudo is releasing Inspirado Red. Inspirado Red is certainly different from the Inspirado trio: White, Black, and Orange. 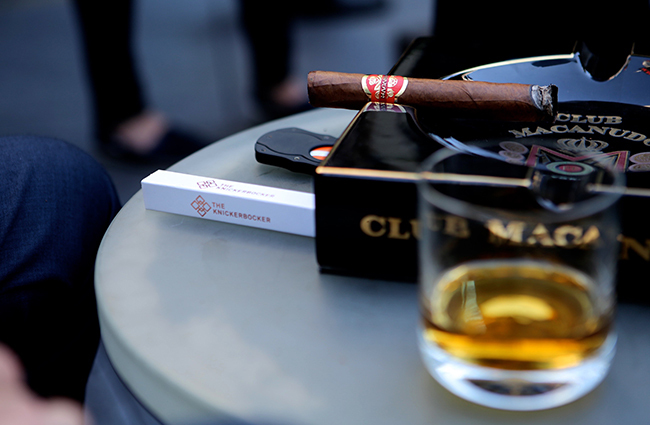 Red is the boldest and most full-bodied offering in the line, made with aged tobaccos derived from volcanic soils. It is the first Macanudo cigar ever to be made in General Cigar’s factory in Esteli, Nicaragua. “With Inspirado Red, we show how nimble the brand can be by introducing a unique, Nicaraguan-forward blend,” says Broersma. Macanudo will kick off its celebration of the brand’s 50th anniversary with a promotion called The Fifty Days of Macanudo, which started on March 12 and runs through May 21. Along with the release of Macanudo Inspirado Red in late March, there will also be special events, retail promotions, and giveaways. During the 50 days, fans can join in the celebration by uploading photos of their memorable Macanudo moments to macanudo.com/50 and be entered to win merchandise, including ashtrays, hats, wall signs, coolers, lighters, and more. 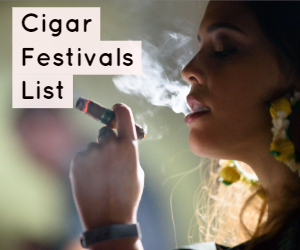 For more info on the celebration, visit macanudo.com/50. 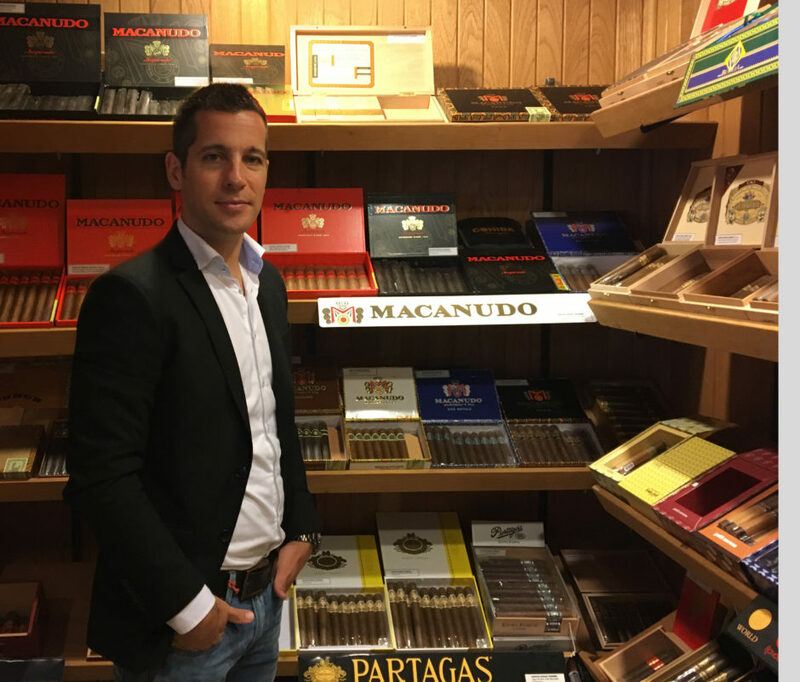 2016 – Macanudo Inspirado, the brand’s worldwide best seller, is introduced in the U.S. The story of Macanudo is the stuff of legends, beginning with Edgar M. Cullman. A brilliant entrepreneur with great vision, Edgar built Macanudo to become one of the world’s most successful and enduring handmade cigar brands. Raised by a family of well-respected tobacco dealers, Edgar’s father Joseph M. Cullman began growing tobacco in Connecticut in the early 1900s. It was Joseph who pioneered tobacco growing in Connecticut. At one point, the Cullman family cultivated more than 1,800 acres of fine wrapper tobacco there. This very tobacco would later become the foundation of Macanudo. Edgar was educated at Yale and served in the military in Washington, D.C. for the Alien Property Custodians. After his service, he learned to roll cigars in New York City in 1944, coincidentally, not far from where Macanudo’s luxury cigar lounge, Club Macanudo, is located today. Fast forward to 1961. Edgar teamed up with a group of investors to purchase General Cigar Company for $25 million. The rest, as they say, is history. The world’s most respected tobacco men were in Edgar’s employ and he leveraged their expertise to the hilt to establish Macanudo as the finest cigar available in the U.S. market. Enter Alfons Mayer, an unsung legend of the handmade cigar business and the first player in Edgar’s dream team. Like Edgar M. Cullman, Alfons Mayer was born into a prominent tobacco family. While Edgar received an Ivy League education, Alfons’ story took a decidedly different turn. The German occupation of Amsterdam forced Alfons out of high school. He narrowly escaped the Nazis in Holland and spent his time during World War II teaching American soldiers to avoid imprisonment by the Germans. Following the end of World War II in 1945, Alfons was sent by the Dutch prime minister (a friend of his family) to Buenos Aires, where Alfons’ father had been selling tobacco. Alfons felt he wasn’t learning the business enough by selling tobacco. So in 1952, he set off for Cuba where he worked non-stop to learn everything about making cigars, to the point of having open sores on his hands from moving bales. His determination would pay off, as he later rose through the ranks at General Cigar, becoming the company’s head tobacco buyer. His tobacco knowledge was peerless, and Alfons was ultimately charged by Edgar Cullman to lead blend development for Macanudo. Edgar wanted a cigar with an aged wrapper, something none of the other cigar markers were doing at that time, and Alfons delivered the goods. With access to tobacco from all over the world, Alfons selected Dominican, Jamaican and Mexican tobacco for the Macanudo blend. He crowned it with a special Connecticut wrapper cultivated, harvested and processed by General Cigar’s Culbro division. The wrapper was aged three years, had a subtly sweet flavor and instantly appealed to American cigar smokers. Once the blend was firmly established, Edgar set his sights on quality and consistency, turning to legendary Cuban Cigarmaster Ramón Cifuentes. Ramón owned Partagas cigars in the pre-Castro heyday, and had been working for the Cullmans since his exodus from Cuba. Ramón had a reputation for meticulous attention to detail, and was not shy about his rabid devotion to flawless construction. With Edgar’s blessing, Ramón set forth the exacting standards required for Macanudo cigars, and these methods are still in play today. Soon, new sizes would be added to the Macanudo Café line, and the brand’s rapid ascent would continue. Just as the brand was evolving, Edgar expanded his team. In the 1970s, he saw great promise in Daniel Nuñez, a young graduate of Texas A & M University who was developing tobacco for the government of the Dominican Republic. When Edgar met Daniel in 1974, the two bonded almost instantly. Edgar was anxious to experiment with growing Connecticut Shade in the Dominican Republic. Seeing enormous potential, Edgar hired Daniel that year. 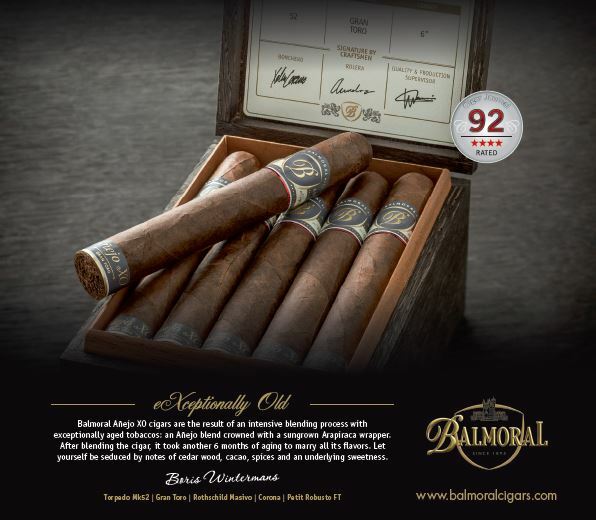 In 1993 until 1999, Daniel spent one week per month at General Cigar’s Jamaican factory where he and another idol of the handmade cigar business, Benji Menendez, worked together to uphold the utmost quality of Macanudo. In 1988, Edgar introduced Daniel to Ramón Cifuentes. Ramón was nearing retirement then, and devoted countless hours to teaching Daniel everything he knew about cigar making. Ramón selflessly gave Daniel six months of his time, six days a week, teaching him exactly what a Macanudo should be. 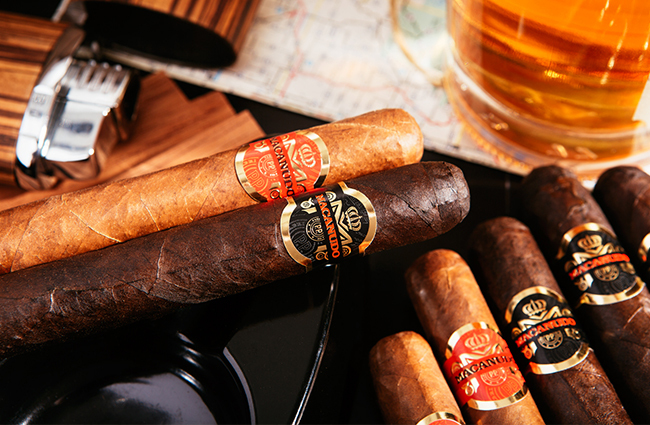 Daniel spent the next several years concentrating on Macanudo, and releasing a succession of well-received blends. Just as Edgar Cullman, Ramón Cifuentes and Alfons Mayer devoted their time to mentoring the next generation of cigar makers, Daniel Nuñez devoted himself to training the team that stands behind the success of Macanudo today. In 1998, after decades in the business, Daniel identified his protégé in Jhonys Diaz. An American-educated Dominican, with an incredible attention to detail and a passion for learning, it can be said that Jhonys mirrored a young Daniel. Through Daniel, Ramón Cifuentes’ relentless devotion to quality would be at the heart of everything Jhonys would learn. Daniel also instilled in Jhonys the intricacies of blending based on his own and Alfons’ expertise. Perhaps above all, Jhonys would become a student of the leaf, soaking up Daniel’s encyclopedic knowledge of tobacco and developing a fluency in the art of processing tobacco and crafting the world’s finest cigars. Macanudo continues to be made at General Cigar’s factory in Santiago, DR, by a team still consisting of those hand-picked by Nuñez to succeed him in the business. Led by Jhonys, the artisans who work hand-in-hand with Jhonys still maintain a laser focus on upholding Macanudo’s high standards of quality, set forth by the pioneers of the handmade cigar business. Mother Nature likes to throw curve balls, and tobacco is a crop she enjoys playing with. It’s no small feat to ensure consistency of flavor for an agricultural product year after year, especially when factors such as rainfall, temperature and humidity can have a big impact. When you select a Macanudo, you are all but guaranteed to enjoy the same taste year after year, across the entire portfolio. How do they do that? Unlike many smaller brands whose cigars vary in taste and appearance from year to year, Macanudo has a team of experts, each with at least two decades of experience on the brand, who are focused on evaluating a crop’s flavor, burn, aroma and ash, before the tobacco makes it into a Macanudo blend. This is a proprietary and scientific process unique to Macanudo, one established by Ramón Cifuentes. Consistency of Macanudo extends to the types of tobaccos that are chosen for blends across the entire brand portfolio. No matter what country the tobacco comes from, wrapper for Macanudo has to be fine, with barely perceptible veins, and the leaf must have a certain thickness. It must also be harvested from a designated priming. Wrapper leaves are then aged for three years before they can be used for Macanudo cigars. All filler and binder tobaccos designated for Macanudo must meet strict guidelines for leaf thickness, combustibility and aroma after they are fully fermented and left to rest, with at least two years of aging. Keeping up with the times has been a cornerstone of Macanudo’s continued success. As variety is the spice of life, in the nearly 50 years since its launch, Macanudo has been constantly evolving, adding new sizes, deeper taste profiles and a wider range of tobaccos in its blends to meet the ever-changing needs of the marketplace, with no signs of slowing down. Through it all, Macanudo Café remains one of the world’s best-selling cigar brands, proving that good taste is indeed timeless. Few brands are true global sensations and in the premium cigar category, Macanudo stands alone. In the early 1980s, Macanudo made its foray into export markets, with the release of Macanudo Café in the UK and Germany. Today, Macanudo is sold in more than fifty countries worldwide, competing and winning against rival brands, including Cubans. Macanudo Inspirado, a blend that has been hailed as the best Macanudo blend to date has taken international markets by storm in recent history. With its launch in 2014, Inspirado has been the catalyst for a renaissance of the brand. Régis has taken a fresh, modern approach to the company’s portfolio and is leading the explosive, renewed interest in Macanudo. In 2017, Macanudo made a major impact at IPCPR with the launch of Macanudo Inspirado White and Macanudo Inspirado Black, two new blends that won critical acclaim. This, while Macanudo Inspirado Orange continues to receive high ratings from respected cigar reviewers. In 2018, Macanudo will celebrate its 50th anniversary, and with that, the brand will celebrate with great fanfare. Additional details will be revealed in the coming months.